The Xiaomi Mi Mix 3 video teaser confirms a big screen and slightly thick upper and lower bezels. Xiaomi's Mi Max 3 is going to be launched on 19 July and according to recent teasers that have surfaced online, the phone is going to have a display of 6.9-inches and a huge battery capacity of 5,500 mAh. The teaser has been revealed on Xiaomi's official Weibo account and has also been shared on Twitter by users. 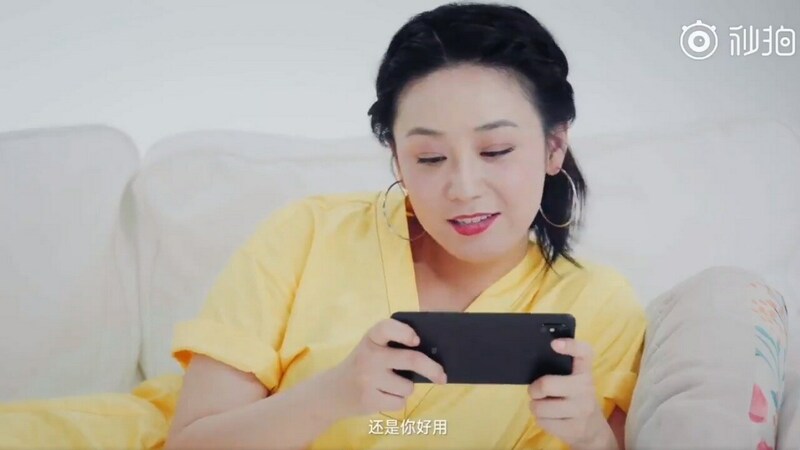 According to the rumours that have been circulating in the past few weeks and from whatever we know of the device, the video teaser at least confirms that the mobile device will have a big screen and that its upper and lower bezels are slightly thick. On the rear, the smartphone is seen to have a dual camera setup which along with an LED flash placed in between the two camera units. It is rumored that there is also a fingerprint sensor that sits on the on the rear, below the camera. Recently, in a leaked video of the smartphone, it is shown that the Mi Max 3 is expected to be similar to the Redmi Note 5 Pro in terms of its looks. Also, Donovan Sung, the global spokesperson for Xiaomi tweeted about the launch of the Mi Max 3. He stated, "Mi Fans, something BIG is coming! Big screen, bigger battery", revealing the date of the launch of the smartphone. Coming to the specifications, according to various reports, the Mi Max 3 will have the Qualcomm Snapdragon 636 chipset, and the base model will be available with 3 GB RAM and 32 GB internal storage. It is rumored that the phone will also be available in other variants which include a 4 GB RAM with 64 GB internal storage variants and a 6 GB RAM with 128 GB internal storage variant. The phone will offer an 18:9 Full HD plus display with a resolution of 2160 x 1080 pixels. In terms of camera, the smartphone will have a dual setup on the rear with a 12 MP and a 5 MP unit. The device is expected to be priced at CNY 1,699 (approximately Rs 17,700) in China.